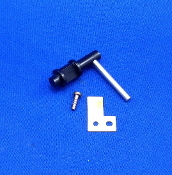 Pioneer PL 512 Turntable Cue Lever. Nice! Pioneer PL 512 Turntable Microswitch. Tested and works! Pioneer PL 512 Turntable Power Cord.